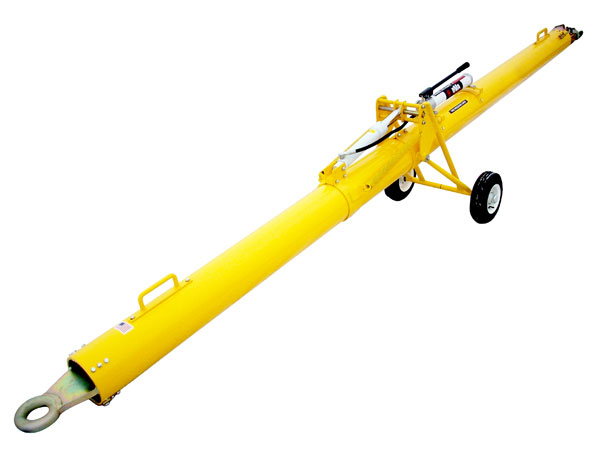 The AERO B727 & B707 aircraft towbar is fabricated to withstand the forces of pushback and towing operations when attached to the nose gear of a Boeing 727, 707, KC-135 & E-3 Sentry AWACS. Compares to Tronair Custom 727 towbar (part number 01-1247-0000) and Hydro part number TOWB707S20SH1. Note: Crating is recommended for protection of towbars during transit. AERO Specialties accepts no liability for damage during transit of un-crated towbars. 727/707 swivel head available on request.